Still without a definitive launch date, some might be surprised to find that Verizon’s upcoming HTC Trophy is available for sale – through Craigslist though! Sure you might wonder what the deal is with the handset, but knowing that it’s not yet available for purchase through Verizon, it’s understandable if you’re somewhat leery about it all. One seller on Craigslist, presumably unfamiliar about the notoriety surrounding the device, has placed the handset on sale along with an HTC Droid Incredible 2 in the same posting. Frankly, the $160 that the seller is asking for the HTC Trophy is seen as a great deal, considering that it’s not even out yet, but we’d suspect that it could possibly be stolen – hence, the ESN could be blocked. However, if the lure of owning a handset before anyone else appeals more to you, then maybe you want to inquire more about it. Not necessarily stolen. I bought a motorola napoleon from a guy on craigslist - an engineering sample that activated on Verizon fine (no problems with the esn). maybe it wasnt reported stolen? You are an idiot. Someone selling a phone that is not out yet is not news? Omg I just found out my son is gay today!! Now that is news..! I think you meant "stupid"...? The person doesn't seem to know their phones; so I would think that they either got it from a friend who stole it, or it could be a set-up to see what kind of people would buy such a handset. 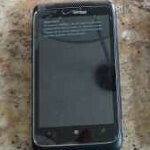 WP7 are retarded, ill get one when they mature. thats why i said i'll wait till they mature unlike you retard!